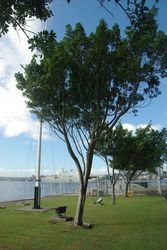 Tree dedicated to HMAS Parramatta (II) and all her served during World War Two. 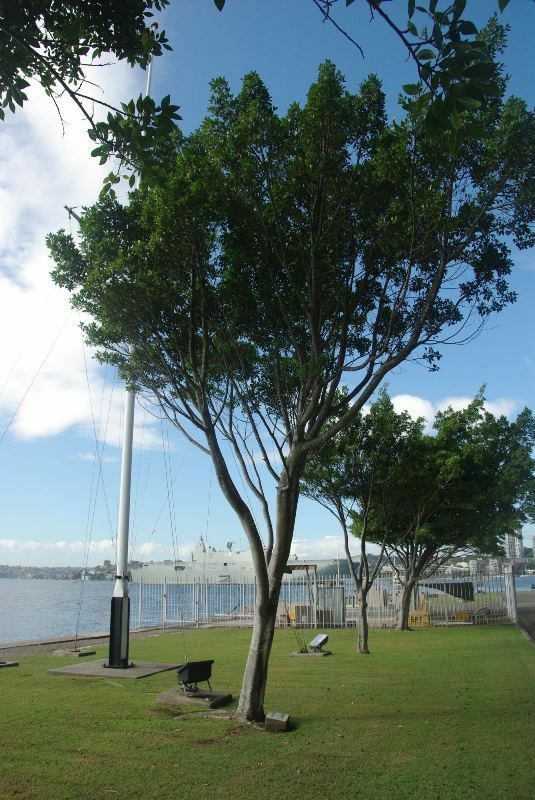 HMAS Parramatta (II) was a Grimsby class sloop of the Royal Australian Navy (R.A.N.). Built during the late 1930s, Parramatta operated in the Red Sea and Mediterranean during World War Two. 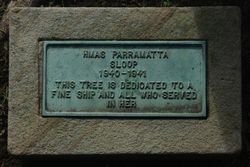 The sloop was torpedoed by the German submarine U-559 on 27 November 1941, and sank with 138 of the 162 aboard.